The Portland Press Herald covered an unusual gathering on Malaga Island, off the coast of Maine, envisioned and organized by Bates professor Myron Beasley. The event fused history, food, performance, and art to create a memorial to a dark chapter in Maine history: the forced eviction of an interracial community from Malaga in July 1912. 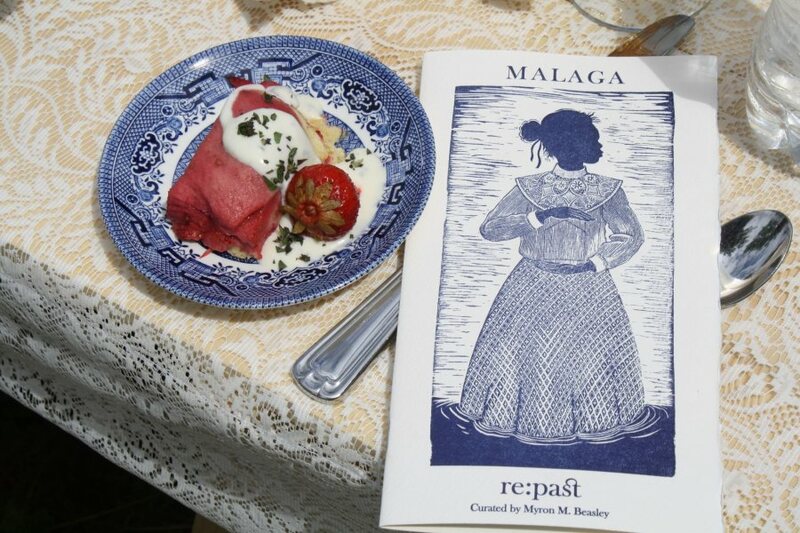 Beasley, a professor of American studies, invited 47 participants — one for each evicted Malaga resident — to the island for the “performative dinner in the form of memorial,” prepared from ingredients and recipes the Malaga residents might have used. With stunning art direction by Michael Reidy, managing director of theater and dance, the public installation told the story of Malaga and its people, who were evicted by the state for reasons related to racism and eugenics. During the meal, each guest “was charged with calling out a name of a former islander as the dinner was served, standing in for the people of Malaga. It was a memorial and a celebration of not forgetting,” wrote reporter Mary Pols. Reidy, whose production team included recent Bates grad Saleha Belgaumi ’18 and others, created physical representations of the structures Malaga residents used and of the residents themselves. The meal was the culmination of years of learning and preparation by Beasley, who first heard the story of this dark chapter in Maine’s history on the day he moved to the state. “This is a moment that I could finally really do something with it,” Beasley tells Pols. In producing the event, Beasley worked in cooperation with the Maine Coast Heritage Trust, the conservation group that owns the island. Beasley’s performative meals have included one at nearby Nezinscot Farm, in 2014, and in 2008, in the Bates Mill Complex, as a memorial to mill workers, in which students interviewed local citizens to gather stories, histories, and recipes to learn about hunger, poverty, and food insecurity in Androscoggin County. 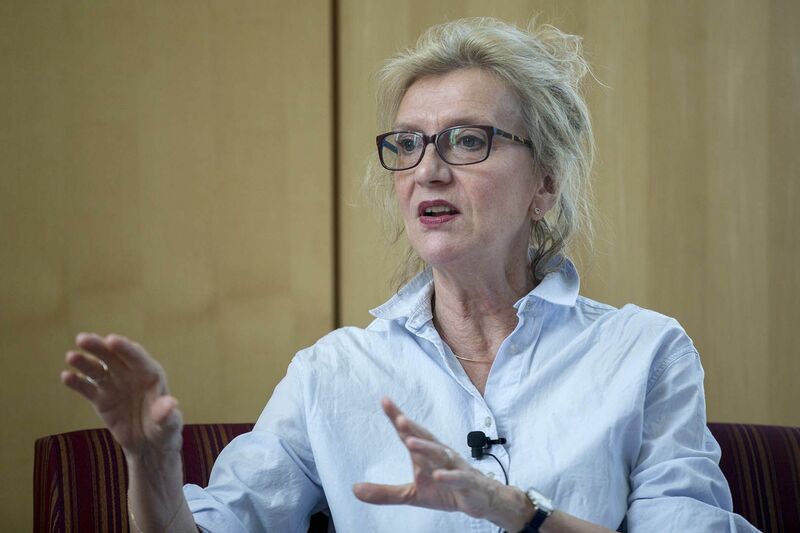 In an essay in The National, Amtrak’s onboard magazine, Elizabeth Strout ’77 recalls the wave of nostalgia as the train she was riding, the Downeaster, pulled into the station in Durham, N.H., her childhood home and where her father taught biology in Nesmith Hall at the University of New Hampshire, visible from the station. That summer feeling of sitting on the lawn of Nesmith Hall is what assaulted me the most that first day I sat on the train, now so many years later, and saw it from this point of view. I had been so happy on that lawn! Turning cartwheels and lying in the grass, I had felt safe, waiting for my father to be done in his office, to call to me through the window, and then I would run inside and sit in his swivel chair and chatter to him while he strolled about gathering his things to take home. It was a happiness that I would not have remembered had I not seen it from the train. Bob Keyes of MaineToday previewed “The Lectern: rule by rule by rule,” which was performed in July at the Bates Dance Festival. The piece, created by Sara Juli and Claire Porter, “takes viewers on a funny spin around the rules and laws that govern our every existence and also what happens when we choose to bend them,” Keyes writes. In an op-ed for the Portland Press Herald, Dr. Robert McAfee ’56 P’83 recalled one of his role models, a Portland pediatrician who kept an office at the bottom of Munjoy Hill from the early 1920s until his death in 1963. Dr. Harry Davis showed deep dedication to the community by looking after its health, wrote McAfee, a vascular surgeon and former president of the American Medical Association. McAfee wrote his essay as Portland’s Mercy Hospital, where Davis practiced, celebrates the centennial of its founding. As president of the AMA, McAfee successfully led efforts to frame domestic violence as a medical issue. He received an honorary degree from Bates in 1995. Ahead of a July 27 lunar eclipse, Graham Jones of the magazine Sky & Telescope spoke with Noah Petro ’01, the project scientist for the Lunar Reconnaissance Orbiter mission, about what we can learn from lunar eclipses. The LRO has had a spacecraft orbiting the Moon for nearly nine years. 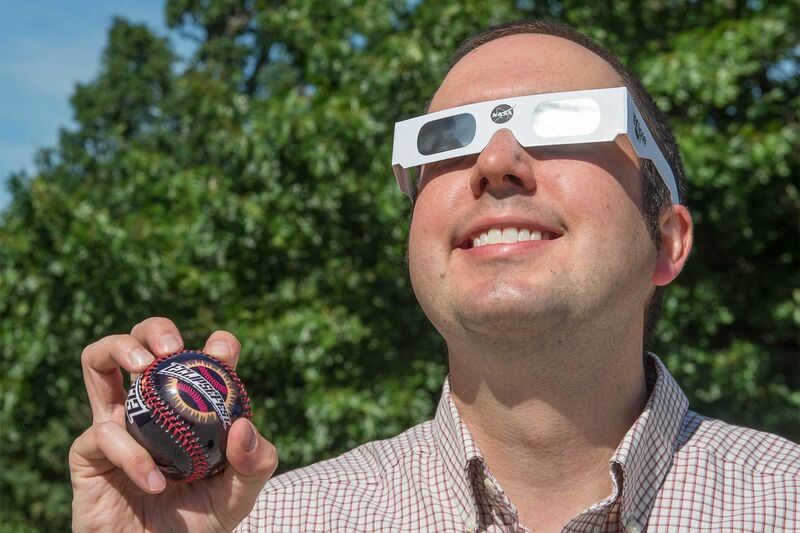 During the eclipse but before it reaches totality, on-board instruments can measure temperatures, helping scientists “infer the properties of the regolith of the Moon — the surface of the Moon — based on how quickly or slowly it cools,” Petro said.